THE COVINGTON NEWS - The “Buy From Georgia” movement is sweeping across the state in July to highlight consumer-based goods that can be purchased in a store or on Amazon. 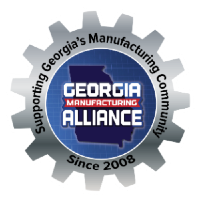 Studies show the average consumer cannot name three products manufactured in their state, and the Georgia Manufacturing Alliance is on a mission to educate people about what is made in their community and the impact those products have on their local economy. "We can and will be the leader of this manufacturing renaissance by supporting the “Buy From Georgia” movement. This program helps people become aware of how they make a difference by buying locally made goods," Jason Moss, CEO of the Georgia Manufacturing Alliance, said.